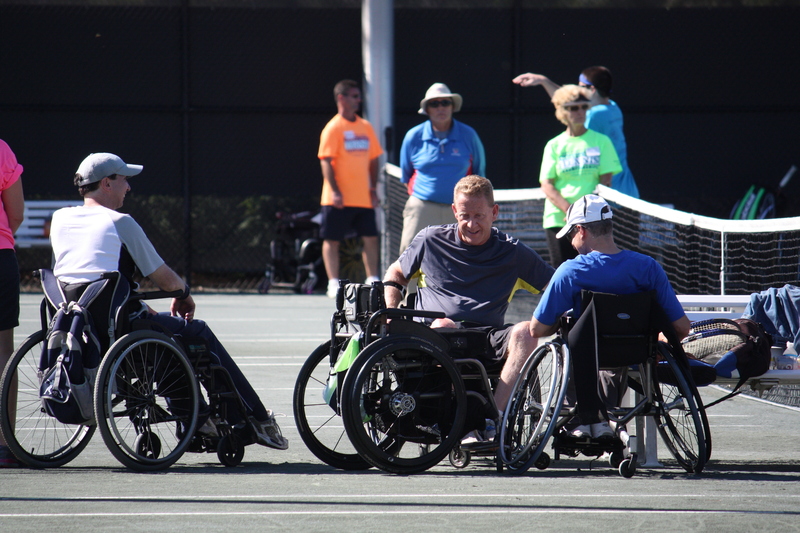 Last weekend, DuPont Country Club welcomed 29 wheelchair tennis players, representing seven different states, for the USTA Wheelchair Tennis Championships. Delaware has become a popular stop on the wheelchair tennis tour, with athletes commenting on the high-end facilities, and the fan presence. Players arrived in Delaware on Friday afternoon and were able to get some practice hitting on clay. Some of the athletes had never played on clay before and welcomed the opportunity to familiarize themselves with the surface. Athletes competed over the following two days with valuable ranking points, as well as prize money, on the line. The draw was broken down into three divisions for both singles and doubles. The tournament is an annual one that typically occurs towards the end of September. Photos from this year’s tournament can be found on the Middle States Facebook page. To see the draw and results from the tournament, click here.